Departments and programs are responsible for allocating teaching fellows to courses and determining the level of the assignment and its type, as described below. Once a student has been appointed, he or she receives an electronic letters of appointment. As registration progresses during the first few weeks of each term, it is occasionally necessary for departments to change teaching fellow appointments in response to unexpectedly high or low enrollments. Responsibility for monitoring and reporting enrollments rests with the faculty member in charge of a class. At the close of registration, the TFP Office provides students and faculty the opportunity to verify the accuracy of appointments and make any needed adjustments or corrections. There are two levels of teaching fellows at Yale and five types of assignments. Based on the recommendation of the faculty in each program, students are normally expected to teach either at TF Level 10 (6-10 hours per week) or TF Level 20 (15-20 hours per week). The appropriate level rests on a faculty determination of what constitutes optimal training in teaching in a given discipline. It is understood that teaching activities across disciplines vary widely, but the expectation is that all types of teaching fit into one of the two TF levels. The level of a given assignment also rests on a faculty determination of how much time per week the assignment is likely to take. Teaching assignment types may normally be assigned at either the TF10 or TF20 level and are distinguished from one another by the kinds of activity required, as follows. Students serving in these positions may undertake a wide variety of activities. They may grade exams, papers, homework, or problem sets and meet with students for office hours and help sessions. They may also work with students in language and other classes as tutors who supplement the daily in-class meetings. Again, the type of tutoring varies according to the discipline in which it takes place. Students across the disciplines lead one or two discussion sections for lecture classes per week. Discussion section leaders are expected to meet with the faculty leading the course once per week, and may attend lectures, grade papers, homework, problem sets and exams, and hold office hours. Sections may not normally exceed 18 students but in practice, many sections have enrollments of 15 or fewer students. Lab assignments occur most frequently in the sciences. Such teaching fellows may run lab sections for lecture classes. Lab leaders are expected to meet with the faculty leading the course once per week and may attend lectures, and rade papers, homework, problem sets and exams. Lab sizes vary widely depending on the discipline. PTAIs conduct sections of introductory courses or advanced seminars, normally seminars in their special fields. All PTAIs are supervised by faculty. In the case of multi-section introductory courses, the supervision often includes the use of a common syllabus and examinations. PTAI assignments may be made only at the TF20 level. Note: Students who have not yet met the English proficiency requirement may serve only as graders without contact. All other types of assignments listed above require certified English proficiency. Graduate student teaching at Yale is divided into two categories, stipend and non-stipend. Students doing stipend teaching receive the standard departmental stipend as promised in the letter of admission, irrespective of the level or type of assignment, Such teaching is included the financial aid package and is considered part of the student’s academic program. Just as students are expected to attend classes, take exams and write a dissertation, they are expected to teach. Students who have completed the teaching required by their program may continue to teach outside of the financial package, if positions are available. Such teaching is considered non-stipend teaching. Students doing non-stipend teaching receive $4,000 per term for courses requiring 6-10 hours of effort per week, and $8,000 for courses that require 15-20 hours per week. No graduate student doing stipend teaching may teach for more than 20 hours per week. Non-stipend teaching is considered part-time employment. As such, students enrolled in the Graduate School of Arts & Sciences still receiving a financial package may not teach more than a TF10 above the stipend per term. Otherwise, students doing non-stipend teaching may teach up to three TF Level 20 assignments per year. International students in F-1 or J-1 status are authorized to work on-campus for up to 20 hours per week while school is in session. Teaching Fellows appointments, as well as any other on-campus jobs or employment combined count towards the 20 hours per week limit. It is the student's responsibility not to exceed this limit and comply with immigration regulations that govern their status. Students holding TF Level 10 appointments would be eligible for an additional 10 hours per week; students holding TF Level 20 appointments cannot hold another on-campus position. Check with OISS if you have a question. 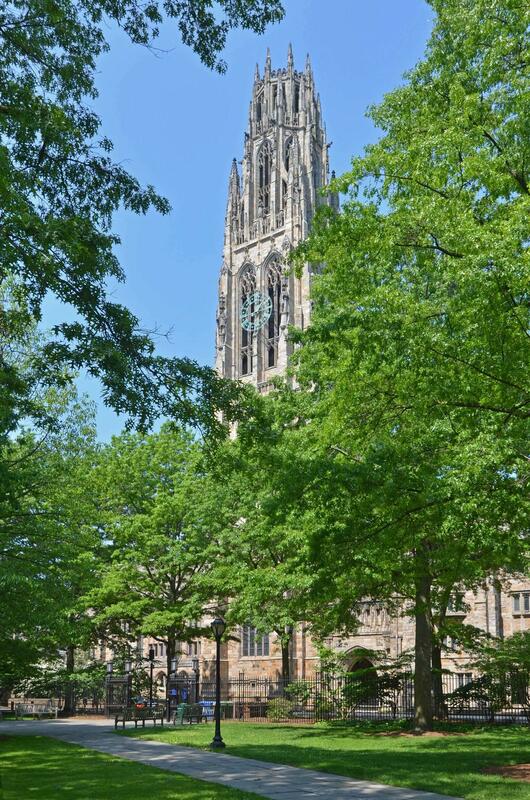 J-1 students sponsored by Yale must also report in advance any employment opportunity to the Office of International Students & Scholars using the J-1 On-Campus Reporting Tool. Except for participation in the GSAS TF program, part-time employment beyond an average of ten hours per week requires permission of the director of graduate studies in consultation with the appropriate associate dean.